At next month's Worldwide Developers Conference, Apple will release a new software development kit that will allow applications to run natively on the Apple Watch, and those apps will become available to consumers this fall, the company confirmed on Wednesday. Speaking at the Code Conference with Walt Mossberg, Jeff Williams revealed that native Apple Watch apps will be available this fall. Apple had already revealed that native Apple Watch apps would arrive this year, but the comments made by Williams on Wednesday confirm that they won't be available until late in 2015. 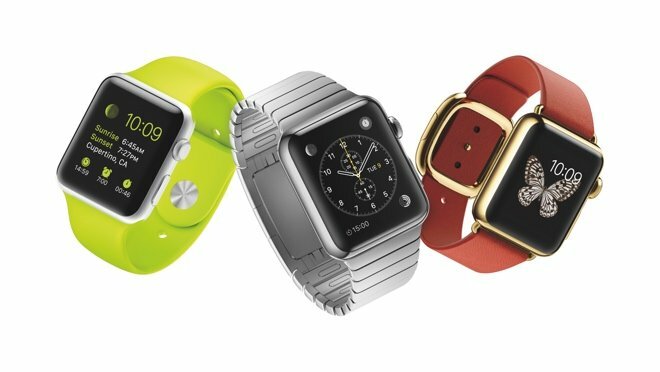 Developers will get their first peek at the updated Watch SDK on June 8, when Apple kicks off its annual WWDC event. The conference will begin with a 10 a.m. Pacific keynote presentation, where the next versions of iOS and OS X are also set to be unveiled. On the current Watch OS, third-party applications for the Apple Watch are powered by a connected iPhone. Accessing those apps requires an iPhone to be in range and tethered. But with the new software development kit, developers will be able to create new applications that will run natively on the Apple Watch, without the need for an iPhone to be connected. As for Apple Watch sales, Williams unsurprisingly declined to give any numbers. But he did tell Mossberg on Wednesday that Apple has sold "a lot" of devices, and that sales thus far have been "fantastic." Because the Apple Watch is a new product category with much hype and even greater expectations on Wall Street, Apple has publicly said it has no intention of revealing unit sales for the wearable device in the near future. Revenue from the Apple Watch, iPods, and other smaller product categories will be lumped together on future earnings reports.